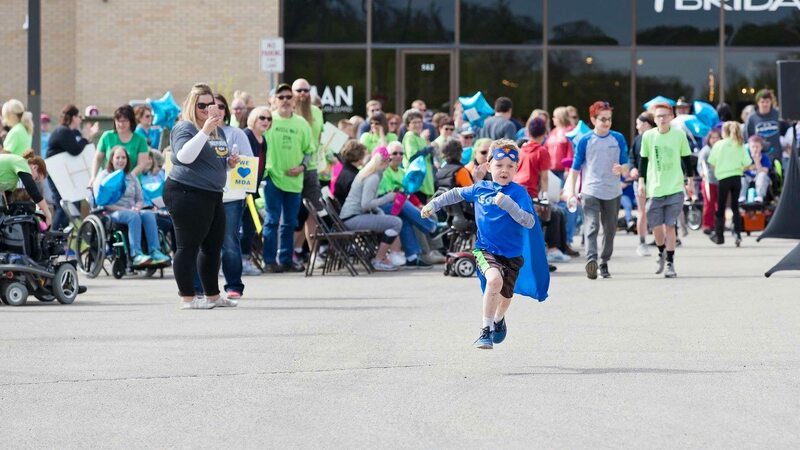 MOORHEAD, MN – When it comes to fighting muscular dystrophy, all you need is a philanthropic vigilante with an accessible piggy bank, heart of gold, and a touch of social media stardom. At least that was the case for Korbin Bohn, the 6-year-old who kicked off Fargo-Moorhead’s Muscular Dystrophy Association (MDA) Muscle Walk in a sprint on May 12. Leading up to the event, he raised $1,500 through a live Facebook video campaign, which included a percentage of matching funds. Korbin is the son of Kelli Bohn, Border States Recruiting Specialist, who’s been heavily involved in coordinating the company’s MDA fundraising campaigns in recent years. Out of 18 teams that participated in the MDA Walk, Border States came in second, raising nearly $6,000. Korbin was the youngest fundraiser, and came in third in personal donations. In addition to Korbin’s efforts, Border States employee-owners raised money through a number of office activities, including May Day gift basket sales, door prizes, a breakfast fundraiser, email bingo and more. 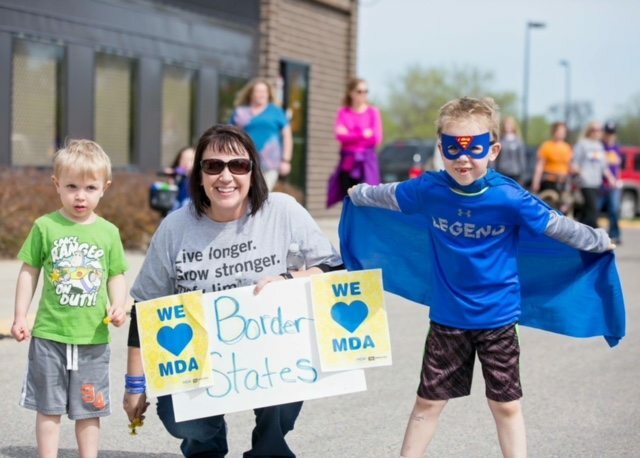 Additionally, Border states sponsored all activities that took place during the MDA Walk, including a fish pond, spinner wheel, tattoo booth, jelly bean guess station and super hero mask-building area. Photos courtesy of Lemon Drops Photography.